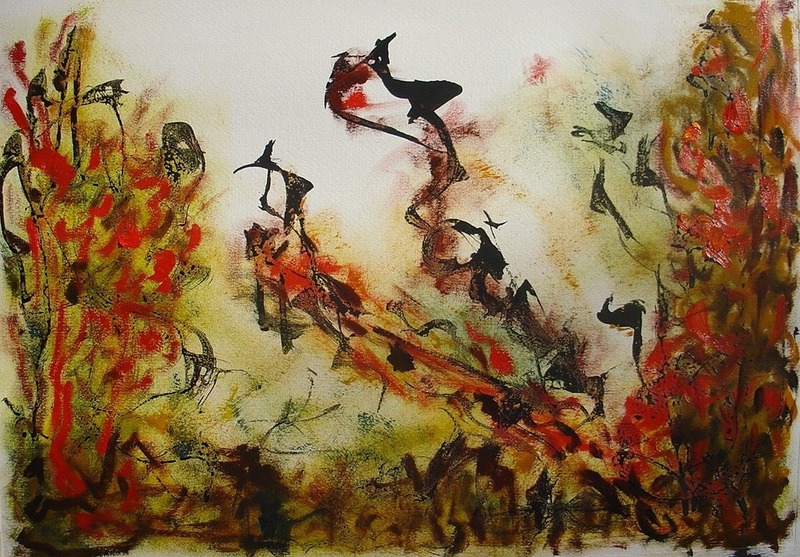 Heat, oil and ink on paper, 18" x 24"
Welcome to my online portfolio. I'm excited to share my work with you. Take a look around to see my work and learn about my background and creative influences. I create in a variety of styles and media, but every single work is inspired by my passion and love of beauty. Are you looking for a piece of artwork that will enhance the beauty of your home or office? I invite you to browse my portfolio and contact me directly for more information on pricing. At present, I am working mostly with acrylic, paper collage, and mixed media. My work is primarily abstract with occasional elements of figures and landscapes. At times it is playful, other times passionate, but always heartfelt.